More than 50 journalism students are set to team up to cover tomorrow night’s local elections across two cities. Editors at News Associates offices in Wimbledon and Manchester have “torn up their timetable of lessons” allowing more than 50 trainees to work through the night reporting results from 11 London boroughs and ten counts across Greater Manchester. 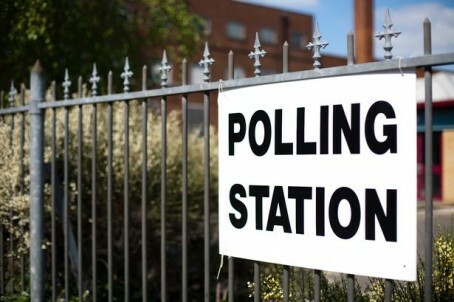 Teams of trainees from the NA’s London office have been accredited to cover election counts in Croydon, Sutton, Richmond, Kensington & Chelsea, Wandsworth, Lambeth, Merton, Ealing, Hammersmith & Fulham and Hillingdon. Their counterparts at NA’s Manchester school will be reporting from counts at Salford, Bolton, Bury, Wigan, Trafford, Tameside, Rochdale, Oldham, Stockport and Manchester. Other students will be based at of both News Associates’ offices running live blogs on their house-run publications SWLondoner and Mancunian Matters, with an e-edition of SWLondoner also going live at 11am on Friday. “With more than 30 trainees from London and around 20 from Manchester plus a dozen staff working through the night and all Friday morning, we will have two of the heaviest staffed newsrooms anywhere in the country covering this story. “We will be competing with the national media on this story and I am confident our coverage will be as quick, as accurate and as comprehensive as anyone else. Wow – and their rate of pay is…………..? Still, I believe TM (REACH! ), Newsquest et al will rely of UGC for coverage. A brilliant idea. I used to love covering elections; there was such a buzz of anticipation, hope and showmanship – and then some disappointment, of course. You did feel that you made a difference – even if only a little bit – by being involved in the process. I love how excited journalists get over election nights with live videos, interviews, analysis and fancy graphics yet, in between, few local newspapers today send reporters to cover council meetings where the real stories can be found.